Hey Guys, Here are my June Bro Deals! And, don’t let these low prices fool you! I use the exact same factories as the expensive brands. 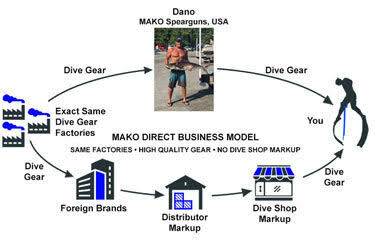 And, most of those brands sell exact copies of my MAKO products with their name on it. This is common in the dive industry. I do it too. But some use lower quality materials to be competitive. 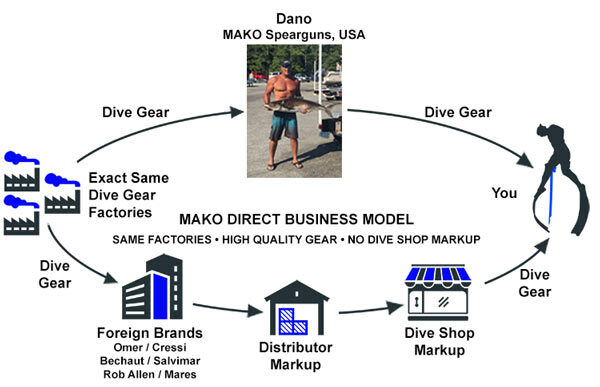 And, their prices are much higher than MAKO because they sell through dive shops. In case you are wondering how I can do this. I made this little graphic. This is the ultimate warm water wetsuit. 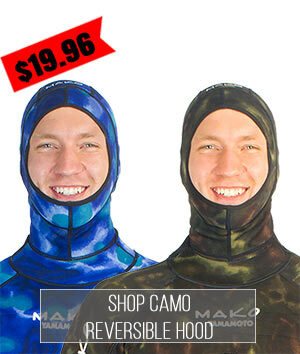 while the reversible camo design makes this suit perfect for reef *AND* blue water hunting. Our warm water reversible camo wetsuit also includes chest loading pads on both sides and knee pads on the reef camo side. 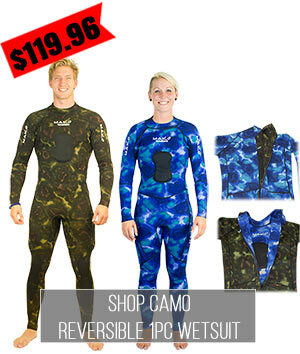 This is an awesome spearfishing wetsuit at an amazing 20% off the regular price. (blue camo one side and green camo the other). to your head and securely tucks inside your suit. Save 20% this month only! Get your BRO DEAL discount by entering the code *****at checkout. Well actually you need to sign up for our newsletter. Just Scroll to the bottom of the MAKO Spearguns Website to the "Connect With Us" box.